My aunt was hospitalized several weeks ago due to a stroke and is still recovering. Unfortunately she is miles and miles away, so a visit is just not possible right now. 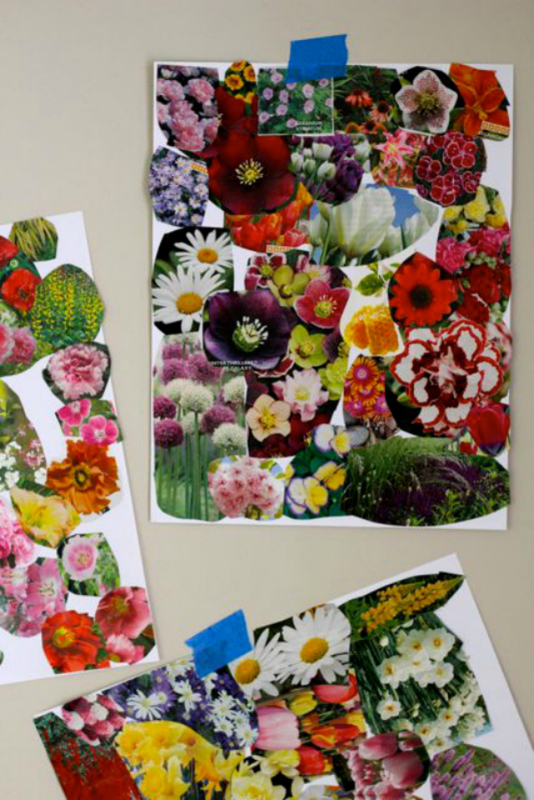 To send some cheer her way, the kids and I made these bright flower collages to decorate her room. Although we sent live flowers when she first became ill, I wanted something that would stay with her a little longer while she was recovering. Plus, there's nothing more drab than a hospital room! All the kids (my nieces and my boys, ages 3-9) enjoyed putting these together and I couldn't help making one too. They are so pretty and there's really no way to mess them up. 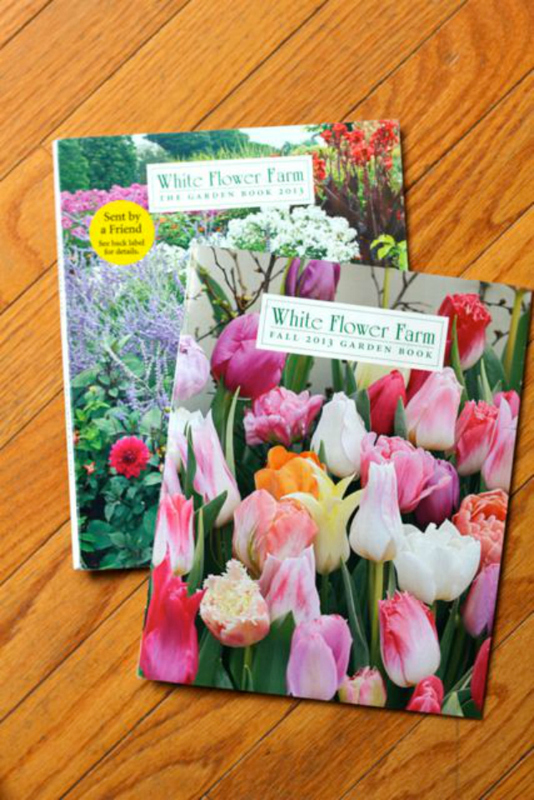 First, we cut out flower images from old gardening catalogues that were waiting to be recycled. 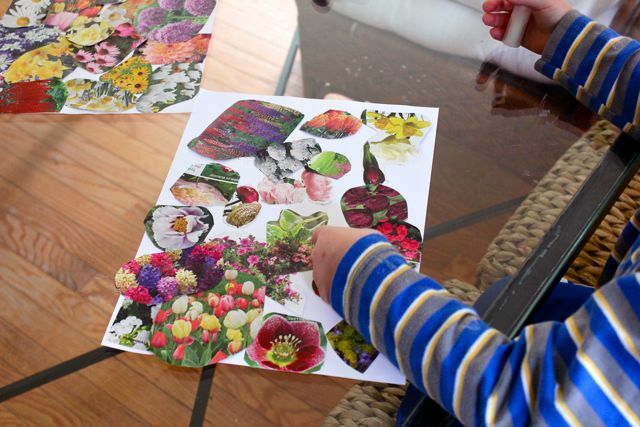 Then we simply glued the images onto plain paper, trying to cover all the white space, emulating a floral wallpaper. I can't wait to talk to my aunt this week and see how she likes her abstract flower art. Who wouldn't love these pretties adorning their walls? Wishing everyone a happy Monday!